This fast rising artiste preaches the phrase; "Music is life" and Vito means life in Italian. So it is not strange when Vito (Micheal Ovie Ikaka) who hails from Delta State and signed to Brodock Music Group is quickly releasing follow-up singles to his banging W4 assisted debut 'Sofa'. 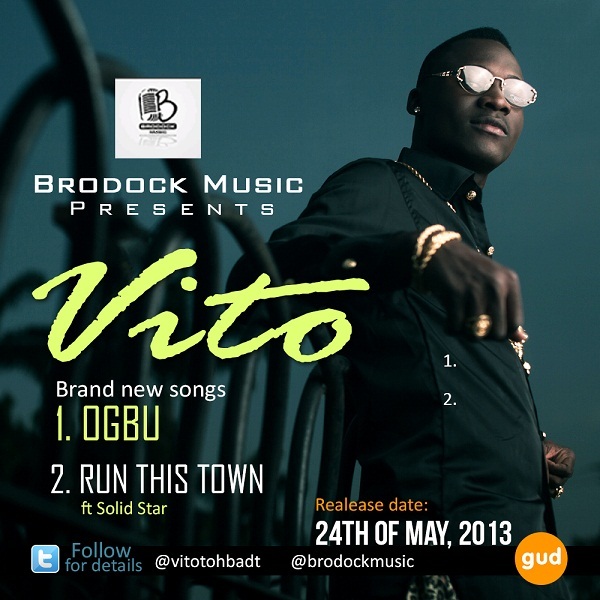 official video for "Ogbu" also is to be released in few weeks and to be followed quickly by the video by "Run This Town"; at this rate there is no stopping Vito and Brodock Music.